In our fast-paced world where there never seems to be enough hours in the day, it seems that almost everyone is looking for ways to develop focus or get ahead. Some people, whether they have been diagnosed with Attention Deficit/Hyperactivity Disorder (ADHD) or not, have turned to prescription medications to help them gain a competitive edge. Drugs like Ritalin, Concerta, Vyvanse, and Adderall are being used more and more by both children and adults and the abuse rates continue to rise. 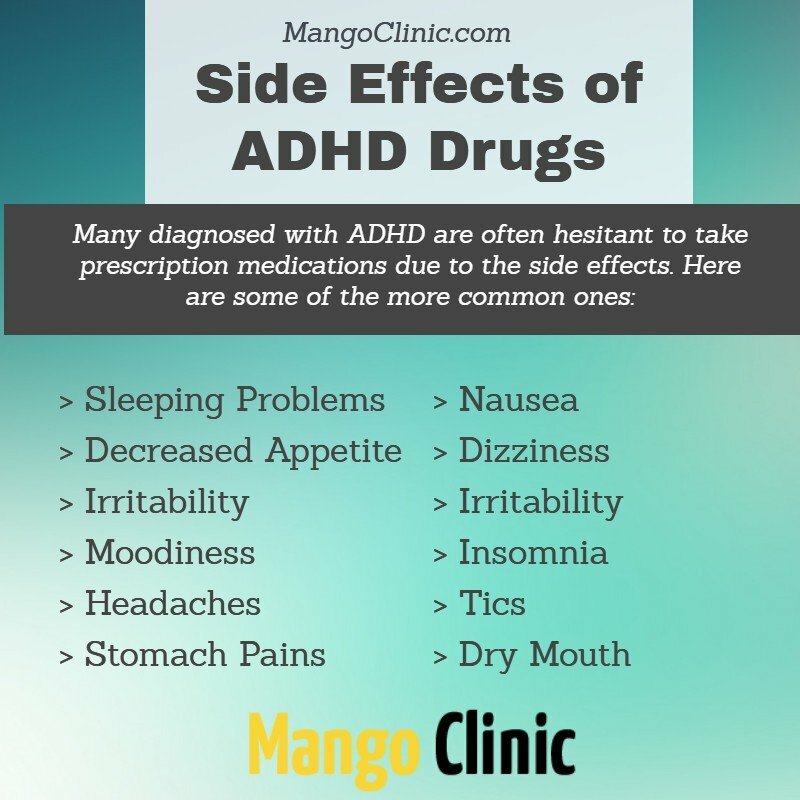 For those with severe forms of ADHD, prescription drugs can be a lifesaver and allow them to regain the focus and concentration they lacked while not on medication. However, the illegal abuse of prescription stimulants is skyrocketing and it is something that our society as a whole needs to address. Adderall and similar drugs are not over-the-counter. They are Schedule II drugs that have a high potential for abuse and can only be taken when prescribed by a doctor. 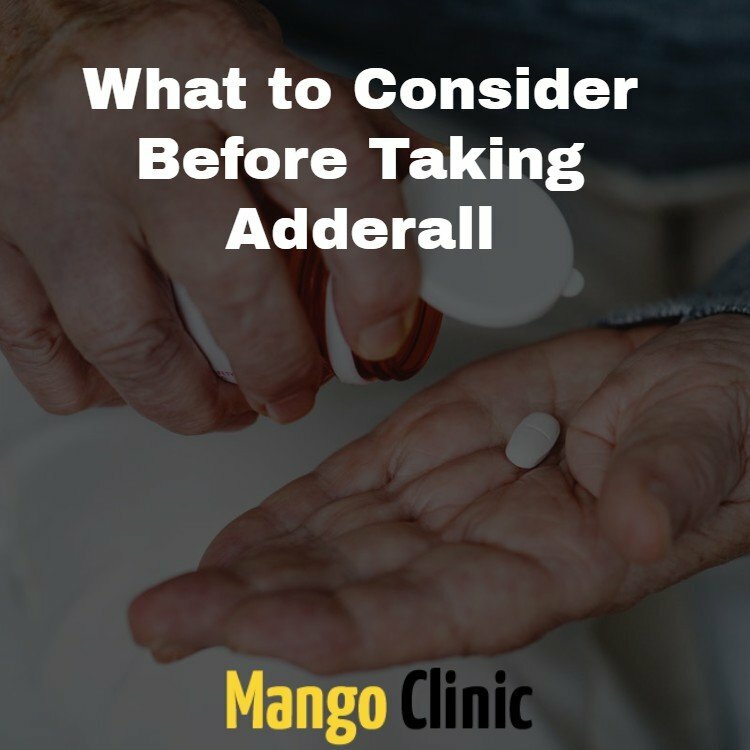 Adderall is generally only prescribed to those who have ADHD and those who do not have the disorder may have an altered reaction to the drug. 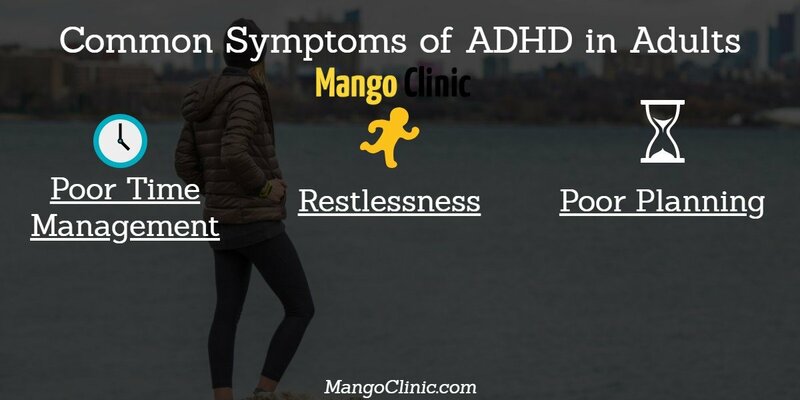 At mango Clinic in Miami, Your doctor or mental health professional can determine if you have ADHD by checking for symptoms listed in the American Psychiatric Association’s Diagnostic and Statistical Manual (DSM-5). There are 18 total symptoms and adults who display six or more symptoms and children under 16 who display five or more symptoms are generally diagnosed as having the disorder. In some cases, the doctor will prescribe a stimulant such as Adderall to see if it helps the patient manage their symptoms. Some people take Adderall and other stimulants because they enjoy the euphoric feeling that comes with using the drug. This feeling is what leads many to abuse and become dependent on the drug. A recent study also found that those who experience these euphoric feelings when taking stimulants are less genetically predisposed to actually having ADHD. Those who use Adderall as a recreational drug are also more predisposed to abuse other drugs such as alcohol, marijuana, and tobacco. In the year 2007, there were approximately 5.6 million prescriptions issued on a monthly basis to adults aged 20 to 39. In 2012, that number had tripled, approaching the 16 million mark. Adult prescriptions are increasing at a much faster level than those for children. Some believe it is due to the increased awareness that these drugs increase concentration and can even provide cognitive enhancements to users. This is causing adults to turn to the drugs as a way to cope with stress and work demands. Adderall and similar stimulants may help children sit still longer and improve their focus if they have ADHD. However, there is no proof that they actually improve their academic performance. In fact, stimulants can actually impair some creative abilities. In addition, stimulant drugs can be extremely addictive due to the rush of neurotransmitters such as dopamine that affect some users, giving them a sense of euphoria that can be easy to become dependent on. Stimulants can also elevate blood pressure and speed up the heart. This can lead to issues such as constricted blood vessels and can also lead up to a heart attack or stroke. If you drink while taking Adderall, the effects can be even more dangerous. Drinking while taking Adderall increases the risks of heart problems and can cause heart attacks in otherwise healthy individuals. Adderall can also increase anxiety due to the way it enhances the effects of dopamine. This can cause dry mouth, paranoia, shortness of breath, and nervousness—especially in those who are already prone to worry or anxiety. Those who take stimulants may also have trouble sleeping. This leads to exhaustion the next day and causes many to take more stimulants to simply stay awake. Tolerance levels also build quickly with stimulants and users must take more and more to achieve the same effects. This makes stimulants very habit-forming and it can be easy to develop a dependence on them that is difficult to break. The FDA has cited every major ADHD drug—including Adderall, Concerta, Vyvanse, Focalin, and even non-stimulants such as Strattera and Intuniv—for misleading advertising and false claims. Some of the drugs have been cited multiple times. These false advertising campaigns by major pharmaceutical companies may be what has led to the increased use—and abuse—of stimulant drugs in the past fifteen years. Along with increased blood pressure, heart rate, and anxiety, Adderall can also cause mental health issues that are especially troubling in children. The medication guide that accompanies Adderall warns users to notify a healthcare professional if they experience any mental problems including believing things that are not real or seeing or hearing things that do not exist. There is even evidence of stimulants drugs triggering depression in children and causing terrifying hallucinations in teens. Though rare, there have also been reports of stimulant abuse leading to suicide. The number of children between the ages of 4 and 17 who have received an ADHD diagnosis has risen over 41% in the last ten years. Almost two-thirds of those who have received a diagnosis have been prescribed a stimulant such as Ritalin or Adderall. Boys are twice as likely to receive a diagnosis than girls and are also more likely to be prescribed stimulant medication. Today, almost 20% of high school boys have received an ADHD diagnosis. While some believe this is due to a recognition of the condition, others argue that it is due to pharmaceutical advertising and a misunderstanding of the natural temperament of boys of this age. Most people who take Adderall without a prescription do not consider it to be a dangerous drug. Instead, they thought of it as a study tool and considered it safe because it improved their concentration and because they knew that doctors prescribed it to children. College students are among the most likely to use and abuse stimulants—especially those that are not prescribed to them. According to a recent study, more than 20% of Ivy League college students used an unprescribed stimulant at least once while in college to help them study. Estimates of those college students who use illegal stimulants range from 6.9% to over 35% and most of those students who were interviewed did not feel like they were cheating or doing anything illegal. In fact, college students were likely to brag about their usage on social media, especially on apps like Twitter and Snapchat. There have been numerous FDA warnings regarding Adderall, Ritalin, and similar stimulants. Though the administration warns that these drugs can be highly addictive and have dangerous side effects, doctors continue to prescribe them. Even a 2004 FDA advisory warning about the possibility of cardiac arrest hasn’t changed the amount of stimulants doctors prescribe. FDA warnings that Adderall, Ritalin, and other prescription stimulants are addictive and can have potentially dangerous side effects also haven’t deterred doctors from prescribing them. Though there is a ban on stimulant use in the Major League Baseball Association, players continue to use performance-enhancing drugs. When the ban was announced, players began requesting therapeutic exemptions so they could continue to take the banned substances. The rates of MLB players who take stimulants is more than double of the normal population. Though some argue that professional athletes are more likely to suffer from ADHD than others, many don’t agree and believe that players are only using the stimulants to enhance their playing abilities and gain a competitive edge. Though many believe that stimulants will give them an edge in school, sports, or careers, experts caution that the cognitive effects of the drugs have not been widely studied and their effects are still unclear. There have been conflicting reports generated from the studies that have been performed and experts argue that most studies are conducted to find impairment in study subjects, not the improvement. 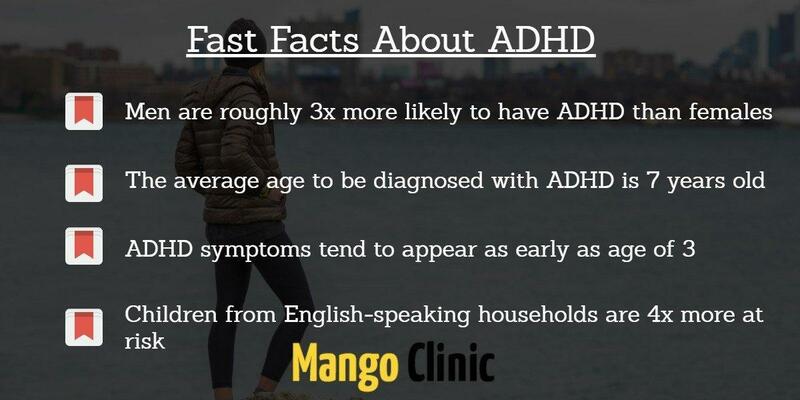 There is also a lack of evidence on the long-term effects of stimulant usage, especially in healthy individuals who do not display signs of ADHD. This should serve as a warning to those use the drugs for recreational use and make them think twice about using stimulants such as Adderall for everyday performance improvement. Speak to a doctor before taking Adderall.